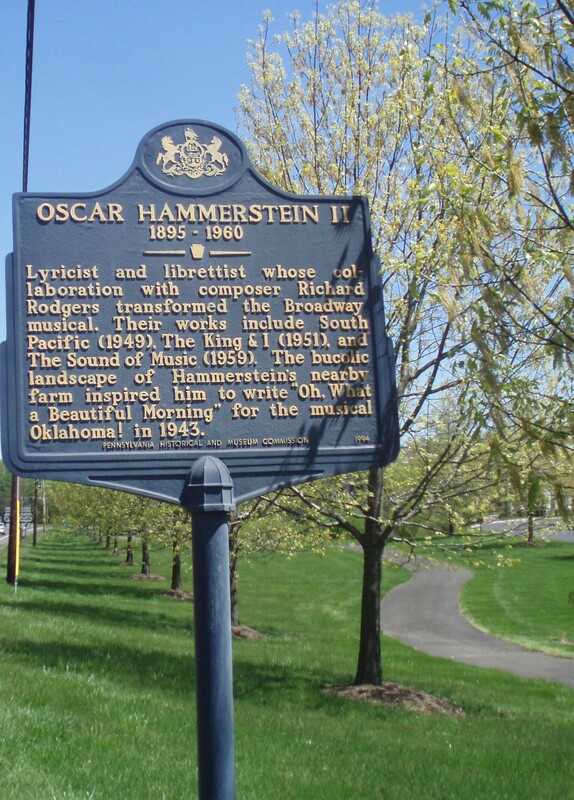 This entry was posted in Around Bucks County and tagged Bucks County, Oscar Hammerstein, signs. Bookmark the permalink. I wish I knew. I had no idea that Oscar Hammerstein had a Bucks County connection. If he wrote the song about his Bucks County farm, why didn’t they name the play, Pennsylvania? Pennsylvania isn’t as easy to spell? As a family member,am I still eligible for the kudos. Yes, just outside Doylestown center. Yes, Oklahoma and South Pacific won the Pulitzer. And, yes, you’re always eligible for kudos.